Don't you just love the cover? I am reading this book now, so far it's pretty good! Macmillan is giving us a signed finished copy for giveaway, so enter below. Thanks for the giveaway! I liked Alyson Noel's other books and had marked this one as TBR. Have a great day! There should be a 'sounds really good, and I would totally read this' button option between 'meh' and 'I'm in love with this'... Oh, but I really do love the cover! I don't care how the saying goes, EVERYONE judges a book by its cover--that's marketing lol! I've been looking forward to this one because of the New Mexico setting. Not to far from dusty Arizona where I live. Thanks for offering a signed copy, that would be cool. Daire sounds like she's got quite a job ahead of her. All we have to do is read about it! Thanks for the chance to win a copy! Love the cover! And it sounds like a great read as well. If this is anything like Evermore, then it should be good! I really liked Evermore. The cover is awesome! I can't wait to read this book! The cover is beautiful! I've read Alyson Noel's other series and really enjoyed it :) Hopefully this one is great too. Thanks for the giveaway! Thanks for the giveaway!!!! I've been dying to read this book!!!!! Thank you for the giveaway! 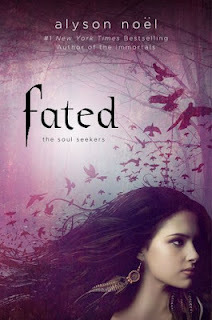 I can't wait to read Fated. Thanks for the giveaway I really enjoy Alyson Noël's writing style. Thanks for the giveaway! I'm really looking forward to reading Fated! Thanks for another great giveaway! I've heard good things about this series. 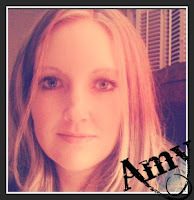 I was a fan of the author's last YA series and would love to see what she's done new with this one. Ah! I been wanting to read this!! Awesome giveaway! Love the cover and can't wait to read this one. It's been on my TBR list for awhile. I definitely am interested in checking this book out now! I've heard good things about her other series but have yet to give this author a try. Thanks for the giveaway! I would like to win this for my grandaughter. I love the cover! Can't wait to see the others in this series! Love this author. Thanks for the giveaway. I am so excited to read it=) We are going to her book signing on Wed so I better hurry out and pick up a copy! Sounds pretty good, I just hope this isn't anything like the Immortals series. Thanks for the awesome giveaway. I can't wait to read this book! I am absolutely dying to read this book!! I've been waiting for it for a while! Thanks for the great giveaway!! Thanks for the giveaway! I have been meaning to read something this summer by Alyson Noel. Looks interesting! I cannot wait to read it! I have really enjoyed her other books so far. I can't wait to see what this one has in store for us! Cant wait to read this. Thanks for the chance! Love this cover! Can't wait to read what's inside! Thanks so much for the giveaway! Thanks for the giveaway, and great book ! I've been meaning to read this, its been on my to-read list for a while now ! Thanks so much for the amazing giveaway! :) I love this cover and the book sounds great!